Today I want to extend to all of you my most humble and truly heartfelt THANK YOU! Yesterday, I received my first royalty statement from my publisher and, while I’ll likely never get rich writing, I am truly thankful for the support of so many who have supported me with this first novel. It’s such a hard thing, putting a book into the hands of readers. It’s like sending your firstborn out into the world alone. You’ve done everything you know to prepare them, but you just don’t know how they’ll be received. Will they make friends? Will people like them? Sending a book off feels much the same way. And yet y’all made it so easy and SO MUCH FUN! This last year has been more fun than I’ve ever had in my life. It was one year ago this month when I signed my contract with Penner Publishing, and just two weeks shy of five months since that book landed in the hands of readers. During this time, I’ve made new friends, reconnected with old ones, and learned a whole lot about the publishing industry. Maybe what I’ve learned best is that people can be truly fantastic. YOU ALL are fantastic, and I thank you from the bottom of my heart! So what’s next, you ask? Well, as may of you know, I’ve signed with Tina P. Schwartz at The Purcell Agency who has taken on the task of acting as my agent and finding a home for my next manuscript. I’m truly excited and hope that Tina finds a home for it soon. It’s a Young Adult novel currently titled In My Shoes about a homeless girl and her family, and is not only set in Rochester, Minnesota, but is loosely based upon the people and offerings within the town’s homeless community. Though the main characters are high school students, the story should appeal to young and old alike. It’s a story about friendship, hope, and the kindness of humanity. 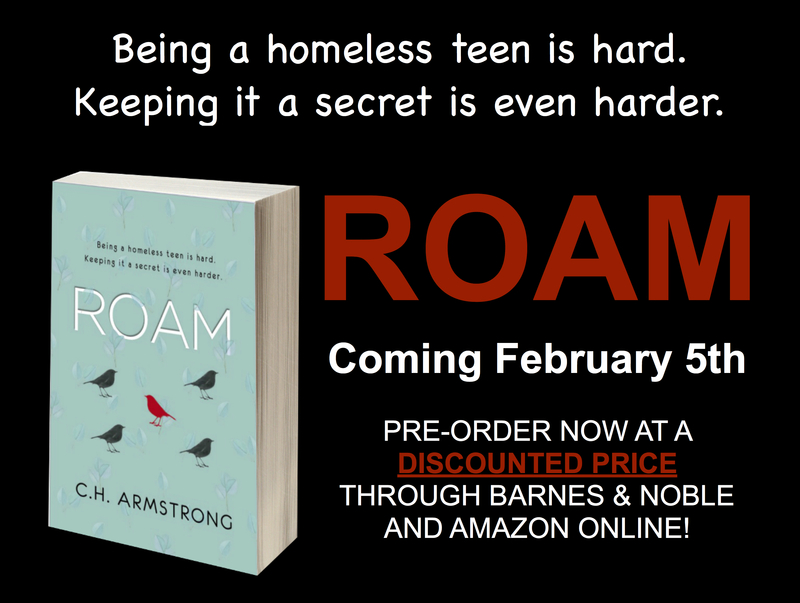 Simply stated, it’s completely different than my first novel, yet I feel strongly that the writing is better and readers will find that the story is more hopeful overall. I hope y’all will cross your fingers with me that In My Shoes finds its home soon. Besides The Edge of Nowhere and In My Shoes, I’m working on a third novel, this one more in the vein of Kristin Hannah, Jodi Piccoult or Lisa Scottoline. I’ve just completed roughly 45,000 words, so I’m just slightly past the half-way mark, with 75,000 to 85,000 words being my target range. This one has been slower going as the story is evolving differently and I’ve had to go back and make some drastic edits to the point of view, but it’s really coming together nicely and I’m excited to see what my beta readers think. Are you ready, beta readers?? You know who you are and you’ll be hearing from me soon! Again…from the bottom of my heart, Thank You! It’s been such a pleasure getting to know so many of you through Facebook, Twitter, Instagram and my website, and I hope y’all will continue to feel comfortable reaching out and saying hi! Good luck. Sounds like things are going well for you. Need anything. Let me know. Can’t tell me how much I appreciate your support. You’ve been awesome!